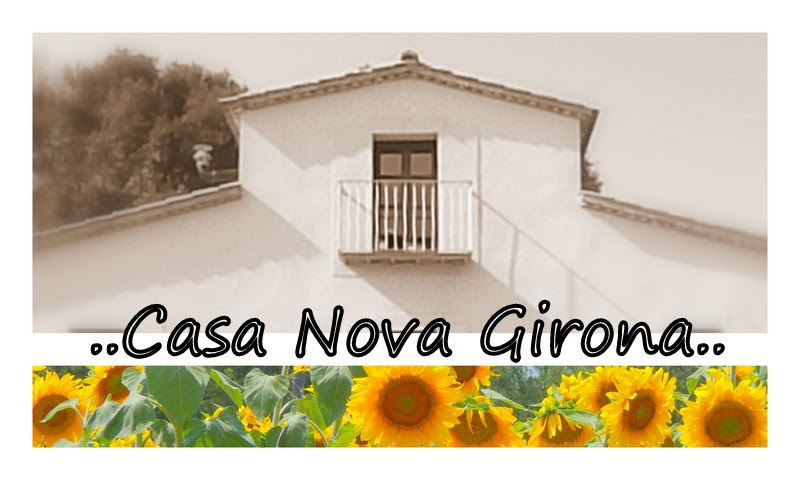 Casa Nova Girona Happy Sunny Days; Your Catalonia Holiday Rental House With Pool, Close to Girona. Arrive; Relax; Experience the Delights of Mediterranean Catalunya. Fun in the Pool ! 5 Comfortable Flexible Bedrooms; 4 Bathrooms; 1 Seperate Downstairs Toilet. Character Catalan Masia; Modern Comfort; A Spacious House For You to Enjoy. The Fabulous Roofed Porch with BBQ; Here You Will Spend All Your Summer Days and Winter Lunches ! A Fabulous House for Gatherings: Small to Large Groups. Small Estate; Many Areas Outwith the Walled Garden to Explore, Play In or to Escape To. Casa Nova Girona; Superb Rural Location; Only 10 Minutes from Girona. Walled Front Garden with Open Views; Fenced Pool Area. Enjoy happy, sunny days with your family and friends at our delightful rural Catalan masia. Casa Nova Girona is a charming, tranquil character masia, a typical Catalan country house, situated within a small estate; close to Girona and Girona Airport; with easy access to the Costa Brava, Barcelona and France. Casa Nova Girona is a fabulous house for gatherings, from small intimate groups to larger ones; and offers many variations of holiday from relaxed, easy days at the masia to active and busy sightseeing days, or to enjoy both once you have rested and relaxed. It is an excellent house for a cycling or golf group. Weekend breaks to longer stays. Enjoy lazy days by the pool; read in a shady corner; play ping pong; cycle; dine al fresco under the fabulous large roofed porch; discover the local restaurants; take a short drive to explore the charm of Girona; the fun of a coastal waterpark; the delightful Costa Brava coast; take the train into cosmopolitan Barcelona; end your day with a fabulous barbecue and relax under starry skies at the masia. Our house is your home away from home in Catalunya. Casa Nova Girona has 5 bedrooms, 4 bathrooms and a separate downstairs toilet. The house comfortably sleeps 12 people, with flexible sleeping areas; a mix of double, single and child beds. Child and Toddler friendly: Secure fenced swimming pool: Lots of child and baby equipment, toys etc. Our house has - Wifi; DVD Player; TV with ES channels and Sky Freesat; Ipod and MP4 Docking Station; Ping Pong Table; Trampoline; 6 Bicycles; Bats and Balls; Boules etc. We look forward to welcoming you to our house. Please do explore our website for further house information and don't hesitate to contact us if you have any queries. Ideal for gatherings, small to large groups. Private pool with safety fence. Rural, tranquil but not isolated. Within 15 minutes of Girona centre. "Good Morning to you both - from a MUCH less sunny UK ! ......... Thank you again for a fantastic holiday. And who knows - we may be back sometime soon.